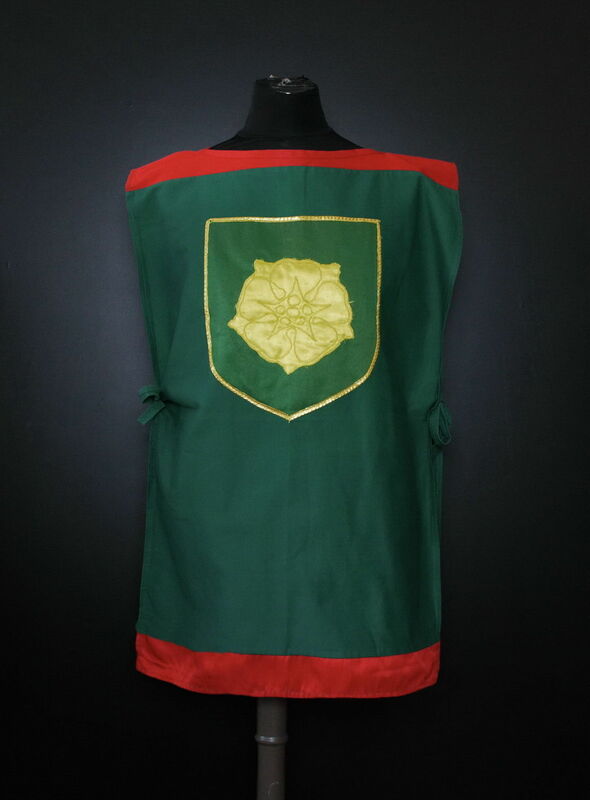 This coat of arms with sewed-on rose image is based on the series "Game of Thrones". 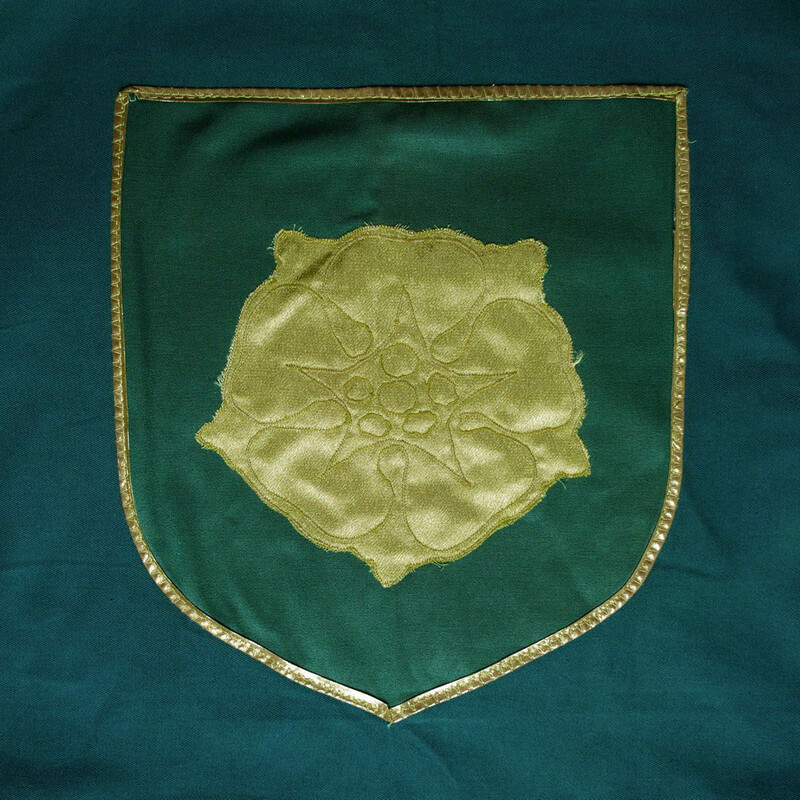 Rose was an emblem of House Tyrell. 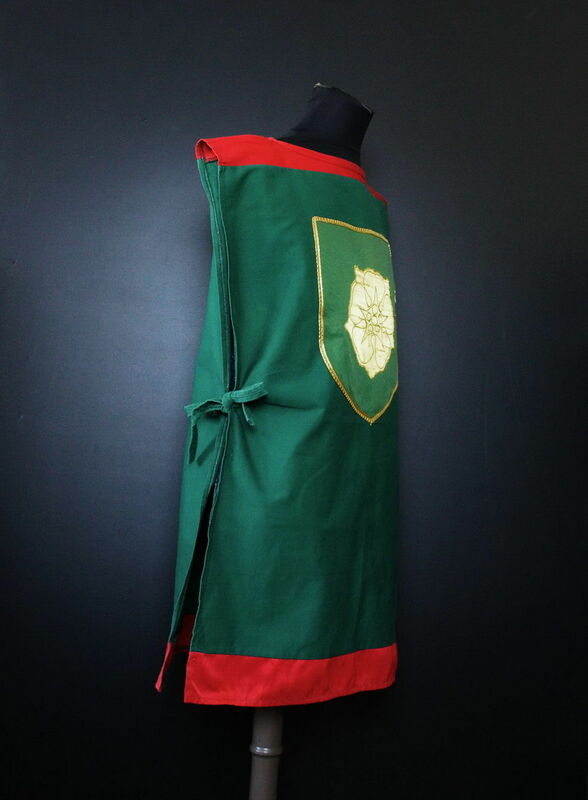 Tabard with lacing on the sides is made of 100% cotton and mixed fabric (50% polyester and 50% cotton). It was in use and have small defects. It's an important protection for the legs during medieval battles or trainings and can be used with any type of armour. Long padded chausses with footstrap and lacings in the lower part of the leg. Top fabric-Cotton Lining fabric-Cotton Padding-100% natural wadding: 50% wool and 50% cotton Layers of padding-1 layer In sizes: XS - Length 95 cm. Thigh circumference 50 cm S - Length 95 cm. Thigh circumference 55 cm M - Length 97 cm. Thigh circumference 60 cm L - Length 97 cm. Thigh circumference 65 cm XL - Length 100 cm. Thigh circumference 70 cm XXL - Length 100 cm. Thigh circumference 75 cm .. The padded chausses are perfect protection of your legs during medieval battles or trainings and can be used with any type of armour. Long padded chausses with footstrap and lacings in the lower part of the leg. Top fabric - CottonLining fabric - CottonPadding - 100% natural wadding: 50% wool and 50% cottonLayers of padding - 3 layers In sizes: XS - Length 95 cm. Thigh circumference 50 cmS - Length 95 cm. Thigh circumference 55 cmM - Length 97 cm. Thigh circumference 60 cmL - Length 97 cm. Thigh circumference 65 cmXL - Length 100 cm. Thigh circumference 70 cmXXL - Length 100 cm. Thigh circumference 75 cm..